Everyone knows that a happy, healthy and engaged dog makes for the best companion. In today’s urban, modern world it can be hard to find time for self-improvement and fun for yourself, much less for your furry best friend. Demanding jobs, lengthy commutes and family commitments can all eat into our daily opportunities for personal improvement and doggie bonding time. When it comes to a four-legged friend, that hustle and bustle of their owner’s lives can lead to boredom and potentially bad habits, both in the home and in public. So how does a busy, urban city-dweller go about working quality education and training time with their pooch into their daily schedules? Training your dog doesn’t have to be a chore, and it doesn’t have to take extra time out of your busy schedules either. It turns out that you and Fido can connect and learn as part of your regular daily walks and fun adventures with each other. In fact, the normal hustle and bustle of city streets and parks, with their myriad of distractions, can all be opportunities for engaging and enriching training. That crowded farmers market is a chance to socialize your puppy. A busy sidewalk is just an opportunity for lessons on “heel”. Interested, but don’t quite know where to begin? Keep reading as we break down how you can turn your urban habitat and daily walking routines with your dog into an enriching and fun experience that both of you will enjoy. Before you get started on your path to urban doggie adventure and training, you’re going to need a few dog supplies. Every good adventure begins with packing, and you and your dog’s walks should be the same. To avoid making training with your dog seem like work, you should have your supplies handy near the front door where you keep your doggy poop bags and leash. Toting your training supplies along on every walk should be second nature. Avoid adding any extra stress and try building a consistent routine, which will aid your enjoyment and your dog’s recall and retention of behaviors. Sturdy Flat Dog Collar – The first thing you’ll need for training is a quality collar and leash. For most dogs, a standard flat collar with a good buckle system, tightened to the appropriate length, will be more than sufficient. (Optional) Dog Harness – For those extra strong pullers, consider a body harness. Good harnesses work by attaching the leash to the chest area, which minimizes a dog’s ability to pull. Comfortable Dog Leash – You should go for a basic nylon, cotton or leather leash of similar strength that fits nicely in the hand and will hold up to your dog’s level of pulling. Stay away from flexi-leads or retractable leashes. For the exercises you’ll be practicing, you want your pooch a reasonably close distance by your side. Variety is Key – The type of training treats that you’ll be using on your daily walks will consist of positive reinforcement (see next section) with lots and lots of rewards via tasty food items. When it comes to treats, you’ll want a couple of different “values” of treats and variety to keep your dog from becoming bored. Low Value Treats – Basic items like small pieces of traditional dog cookies, will suffice for the day in and day out training. There are various cookies and treats on the market specifically marketed towards training, but really all this means is they are smaller in size. Just break up your dog’s favorite normal cookies into small, bite sized portions. High Value Treats – High value treats will be used as bonus or sporadic rewards when your dog has done a task especially well. They will also keep Fido guessing how many times he has to perform a task to get an especially good food item. Think pieces of steak, chicken, cheese or liver for these rewards. Having a handy pouch to keep all of those food items close and accessible is an important part of the training process. There are plenty of commercial options available. Look for something that has a drawstring so you won’t be losing treats at every turn. Your treat bag should also be fully washable, for sanitary and convenience reasons. While food works as rewards for most dogs, there will always be that small percentage that aren’t food motivated. As a responsible and responsive dog owner, it’s your job to figure out what drives your furry friend. For some, this will be squeaky or fuzzy dog toys, for others, a good stomach scratch. Every dog has something that drives them, it’s your job to figure out what that something is for your particular pet. You may have seen above, my brief mention of positive reinforcement and training with rewards based on treats or whatever floats your dog’s boat. There are many different forms of dog training. Some of these involve behavior corrections or other types of methods. Positive reinforcement is exactly as it sounds, a positive experience for both you and your pet. No harsh words, no tough yanks on a collar or leash and no corrections. Positive reinforcement focuses on using treats to “lure” your dog into a particular task and marking the successful accomplishment of that task with a food reward. Positive reinforcement is the least stressful and most fun method of training, and thus appropriate for making your daily walks an enjoyable and educational training experience. There are many different training methods, and what works for one dog and owner may not work for another. Research various trainers, methods and see what works best for your particular situation. While we’ll focus on positive reinforcement with treat training here, there are benefits and disadvantages to all methods of training with your dog. If you’ve done the research and are still onboard, welcome! Let’s talk specifics. Perhaps one of the most fundamental skills for your dog to learn, teaching loose leash walking will be essential to a good-mannered urban pooch. You can start this task from the moment you walk out the front door on every walk or potty-break. First things first, do not pull back when your dog tugs on the leash. For most dogs, pulling weight, sleds or other large objects is a natural behavior. Pulling back during your walks can also feel like a game. When your dog tugs on you and you tug back and then they get to go on their merry way, your dog learns that pulling gets them where they want to go. The correct way to teach a dog not to pull is the “be a tree” approach. This method will take some time, but once mastered will create a reliable, loose leash walking dog companion. When your dog pulls on the leash you should think of yourself as a tree. Don’t move, don’t react, don’t pull back or go in their direction. Eventually your dog will get bored or frustrated and come back and check in with you. When Fido returns to you to check in, this is your opportunity to treat and then start moving. Repeat this enough times, and your dog will learn that they only get to move when the leash is loose and not a moment before. Sit, and the alternative down, are essential behaviors for city intersections. Each time you cross a street, teach your dog to go into an automatic sit until you release him. This will create not only a well-behaved pooch, but will also be safer in the busy urban environment. Teaching a sit is a classic example of treat luring and positive reinforcement. When you approach an intersection, crosswalk or other obstacle have a treat ready from your treat pouch. Raise the treat slowly above your dog’s head and back, so that they look up. Fido will naturally back up and eventually ease into a sit. Reward and praise immediately and repeat these steps several times before continuing on your walk. It’s important that you don’t add in the verbal command “sit” until your dog is reliably responding to you luring them into the sitting position. Otherwise your dog will learn that the verbal word sit has less, or no meaning. Teaching down will be similar to sit. Instead of luring with the treat up and back, place the treat directly in front of the dog’s nose and bring towards the ground. Do not allow your pet to have the treat until they’ve collapsed into the down position, then praise and treat away. Add the voice command once they are luring into a down position on a regular basis. This is another behavior for which you will find a multitude of opportunities to teach on your daily walks. It may even have you making new friends along the way. Consider persuading other people out for their morning, afternoon or evening walks to be co-conspirators. Not only will you rope people into helping you train your dog, you’ll meet new friends in the process. At your next park, restaurant or crowded local area visit, your dog will most likely naturally get excited and want to approach strangers for potential treats, scratches or other rewards. Enlist a few of these people to help you. As cute as Fido may be, he or she should get no attention until they are sitting, laying down or otherwise standing sweetly and calmly in front of the new person. At this point, treat away with both food and physical praise. Repeat often with a variety of different people in a range of places for best effect. Before you know it, your dog will be waiting nicely for others to approach, knowing that’s the only way they’ll get the attention they are after. 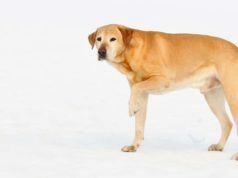 The “stay” command is the last on our list in your dog’s repertoire, mostly because it will need to be built off of many of the other commands. In any of the previous scenarios, stay may be taught as either a default behavior or a command on its own. For teaching stay as a default behavior, use in connection with the sit or the down. Once your dog has mastered these skills on command, pause before you supply the food reward. After the pause, treat as normal. Slowly increase the amount of time your wait to treat your dog after a well performed sit or down. Once they are reliably not breaking a sit or down, add the “stay” command and a release word upon rewarding with a treat, such as “okay”. Before you know it your dog won’t budge from a sit or down unless it’s at your direction. You can also teach stay independently in stages. This is best done in a park or other large open space. While your dog is on leash and either in a sit, down or stand (for those of you up to the challenge) put your hand up in a stop position in front of them. Slowly back away a step or two and then hurry back. If your dog has not moved, treat away. If they have moved, try again. If your pooch repeatedly moves at a stand, try working with a stay at a sit first. Slowly increase the distance you move away in between rewards. Finally, you should be able to completely walk around your dog without them moving or shifting positions. Once your dog has mastered the stay with hand or no signals, you should add in the verbal command. With some patience, and lots of treats, you’ll have a dog that could double as a statue in no time. I hope you’ve found these tips and trips for turning your daily walk with your dog into a fun and educational training experience, inspiring. Dog training doesn’t have to be boring or require you and your dog to spend houses in a classroom listening to lectures or reading diagrams. There are countless real world opportunities for teaching and learning every day. Master the behaviors above and you’ll be well on your way to having a healthy, happy and well behaved family companion.